Custom Electrical Contractor’s was started in 1978 as a small residential- commercial electrical contractor. 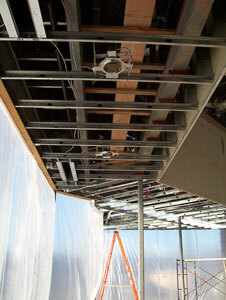 We have grown to a medium sized Contractor that specializes in commercial-industrial work. Our competent staff is capable of installing all types of systems in an efficient and safe manner. We have expanded our services to include Fire Alarm systems, phone/ data systems, on site backup generator and UPS systems, and Design Build services. The majority of our employees have been with us for an average of twelve years. This has led to the stability of our company, and long term relationships with our clients. We have a fleet of service vehicles that can be dispatched 24 hours a day, 365 days a year.